It’s always important to stay on top of the latest fashion trends, whether you’re a regular person or a character on a superhero show. For Barry Allen on CW’s The Flash, that means ditching the musty, outdated, and probably very sweaty costume that he wore throughout the show’s first season and replacing it with something that’s more hip, modern, and not yet filled with a year’s worth of metahuman musk. So, a week after Oliver Queen on Arrow got a new superhero suit of his own, The Flash is finally getting with it and squeezing into a new pair of tight red pants. To the untrained eye, the new costume—which you can see below—doesn’t look very different from the old one, but a true fashionista will notice a ton of little tweaks and refinements. For one, the background of the logo is white instead of red. Also, uh, the lightning bolts on the ears might be a little more pronounced? And, okay, maybe the lines on his arms are different? Oh, did the old one have such a big zipper on the front? That could be new. Either way, the logo is definitely different. 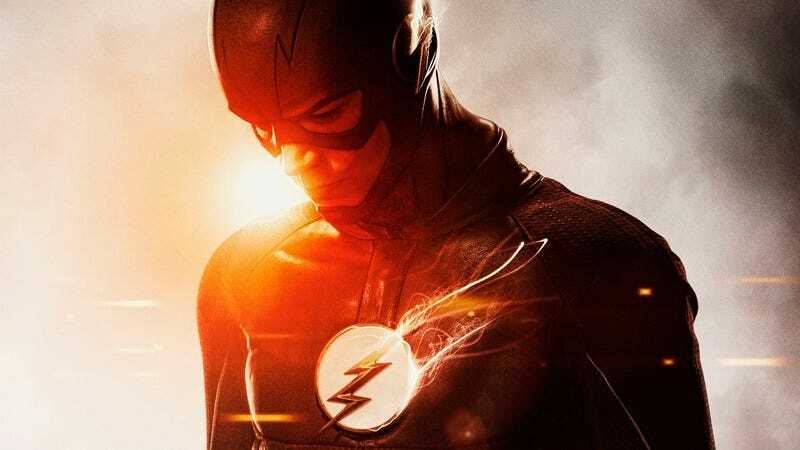 The Flash, along with the title character’s fancy new threads, will premiere on The CW on October 6.